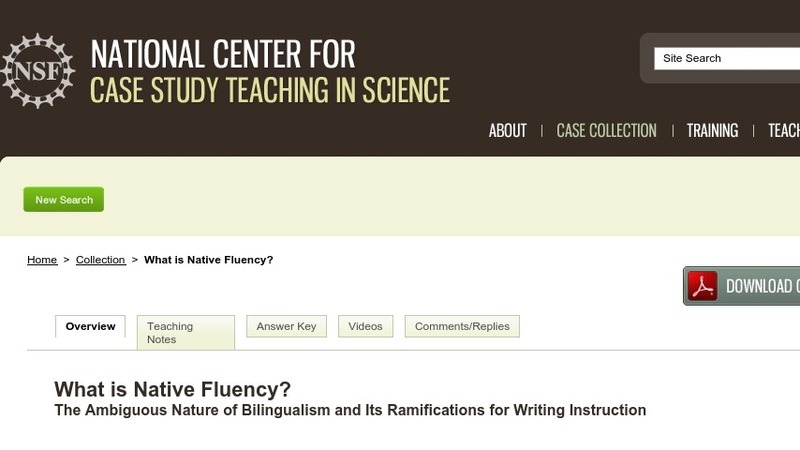 The focus of this case study is the way differing views on native fluency and bilingualism have an impact on writing instruction in colleges. In the case, students read about the high school and college experiences of a young woman who moved to the United States from the Dominican Republic at age nine with a good deal of fluent, informal spoken English, but little skill in reading and writing formal, standard English. Students follow Maria as she wrestles with her identity as an English user and, along the way, encounter high school teachers and college professors wrestling with a lack of information about how students gain mastery of a language and literacy.